The other day, I made a small quantity of ‘Burnt Onion For Gravies’ (Day 93). Although I had serious doubts about it at first (I mean, who eats burnt onion? ), the end product is anything but burnt – or even resembling anything like onion. Instead, it’s a brown sauce-type concoction with a sweet, vinegary scent and taste. 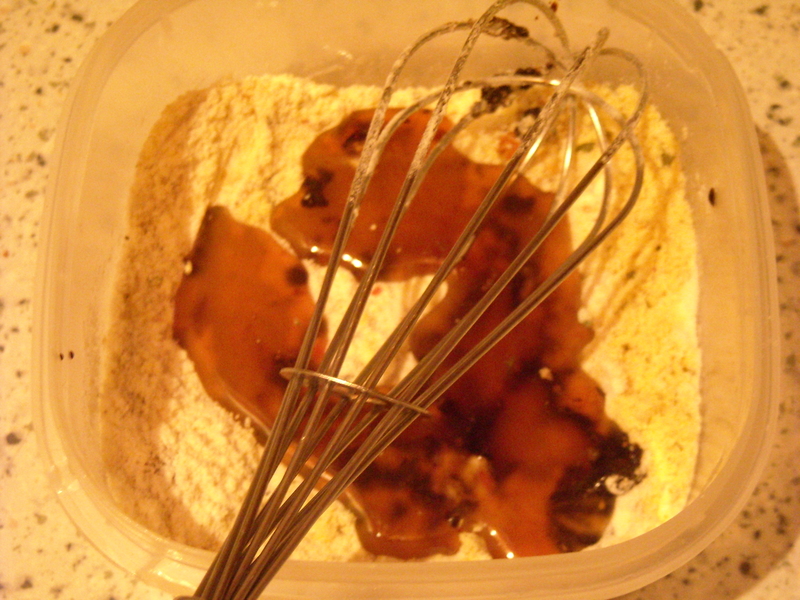 I keep it in the fridge, where it now resembles molasses in look and feel. 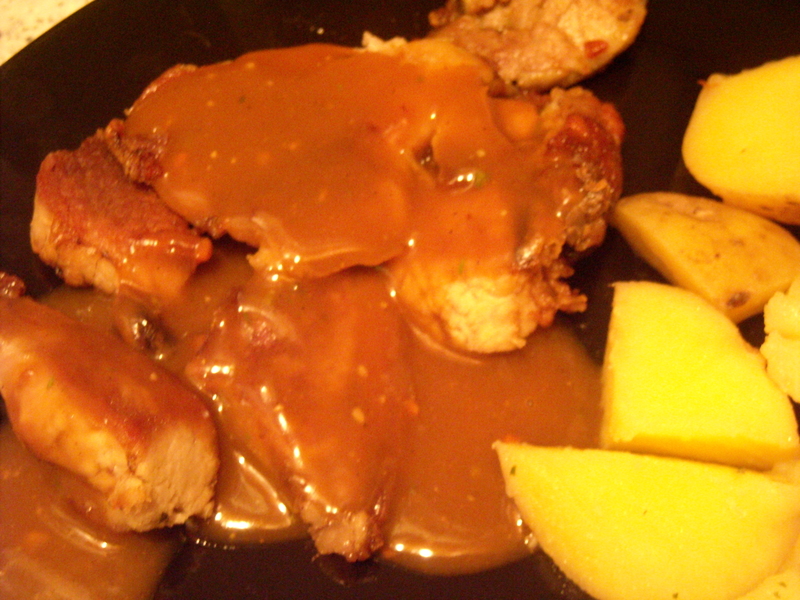 I decided to try it out tonight in my own homemade gravy, to see if it materially benefited the base flavour. I served this with pork (for my boyfriend) and a vegetable schnitzel (for me). “It’s good. Um… it’s a bit sweet though,” he commented. Which surprised me, given that his sweet-ometer is set to ‘off-the-scale’ most of the time. It was totally my fault. 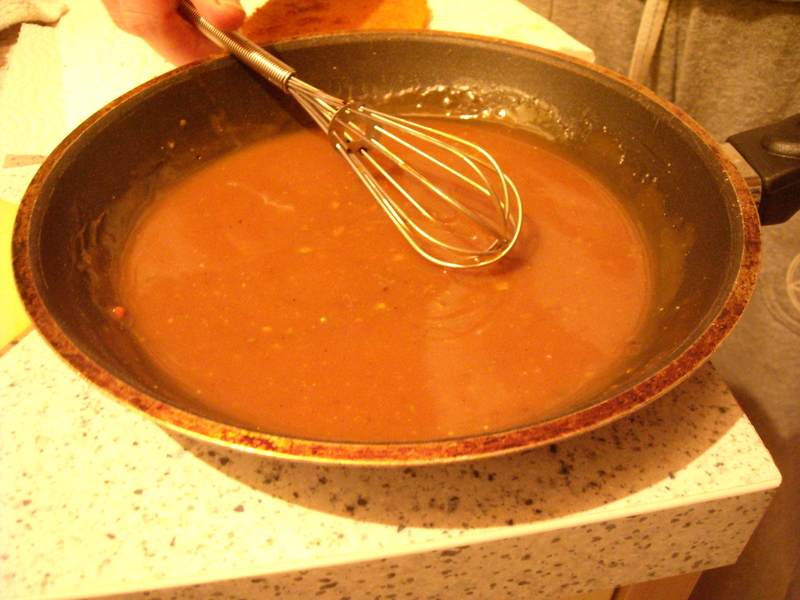 The gravy was actually quite tasty, but I overpowered it with too much burnt onion sauce. The trick is to go easy with it – a teaspoon or so enhances the taste. whilst a tablespoon just makes it a little too sweet. Bad hausfrau that I am. This entry was posted on March 3, 2010 at 7:29 pm and is filed under food. You can follow any responses to this entry through the RSS 2.0 feed. You can leave a response, or trackback from your own site.